When Jason Fung took on leadership of esports investment for the Alibaba Group's sports division, AliSports, he was given a bit of leeway to experiment. "From the very beginning, we didn't view esports as a profitable business in the short to mid-term," Fung said. "Alibaba has given us a five-year time frame to figure out what works in esports and to seek out business models that make sense. We've had that time frame to start becoming profitable and break even." GamesIndustry.biz spoke to Fung ahead of his keynote address at this week's Esports BAR Miami. Fung began by describing AliSports' primary esports focus - its tournament, the World Electronic Sports Games (WESG). The competition started in 2016 with a prize pool of over $5.5 million, and that grew further in its second year. Though the competition itself is global, Fung said the event has found significant interest and success in its home country of China in particular. "The challenge there is, now that we've broken even, what else can we do to become hopefully profitable in year four and five?" "We found that promoting esports as traditional sports has been well-received, at least here in China," he said. "As part of that, we have a whole city bidding model. Whenever we have a large-scale event, such as the Global Grand Finals for China, we put it up for bid so that different cities can show their interest in hosting the event. We get support both financially and non-financially, and I think throughout the last two-and-a-half years we've been running the competition, we've gained a lot of interest from cities in China." That success alone has kept AliSports on track to make good on its five-year goal to turn an initially unprofitable esports venture into a profitable one - and right on time, too. "Because our competition runs from April to March to every year, right now we're about halfway through our current competition year," Fung said. "But we are on track, fingers crossed, to finally break even this year. That aligns with the company goals and KPIs for this fiscal year. The challenge there is, now that we've broken even, what else can we do to become hopefully profitable in year four and five? We're going to continue to expand our efforts in WESG, we're going to look for other ways to monetize and bring in revenue." "We want to promote a very healthy image of what esports is"
So far, when it comes to finding those ways to monetize, Fung said AliSports has had very little trouble. Among brands and investors in China, Fung said, esports is a "new buzzword" that everyone is trying to get involved in. Rather than have to scrape for support, AliSports is having to tread carefully and curate the vision of esports it presents to the country and the world. 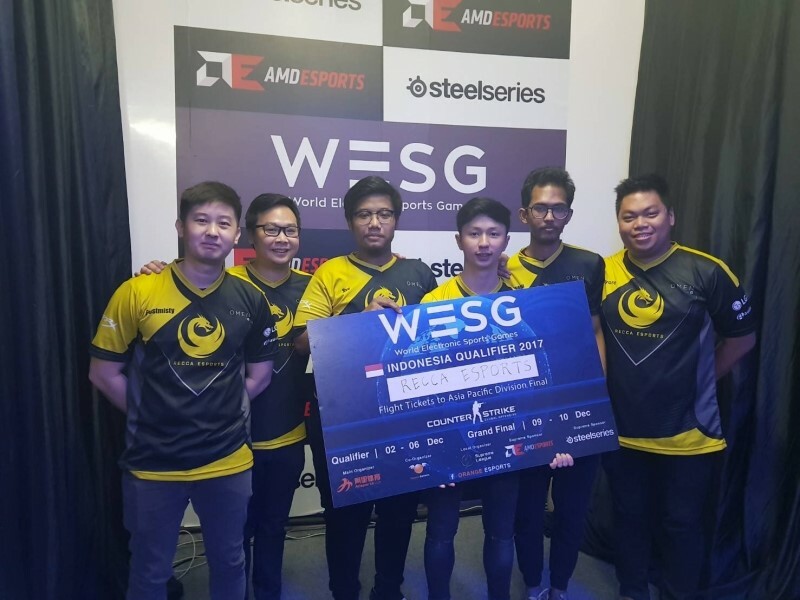 "We're very strict in terms of allowing sponsors to support [the WESG]," he said. "One of the things we have to consider is that we want to promote a very healthy image of what esports is, and if WESG is our main tournament IP, we're a lot more selective in terms of letting brands in. Brands that we currently work with align with this vision and are invested in esports for the long term." Aside from growing from its first year to its second, the WESG also added a new competitive group last year: women. In the tournament's first year, only men's teams played. 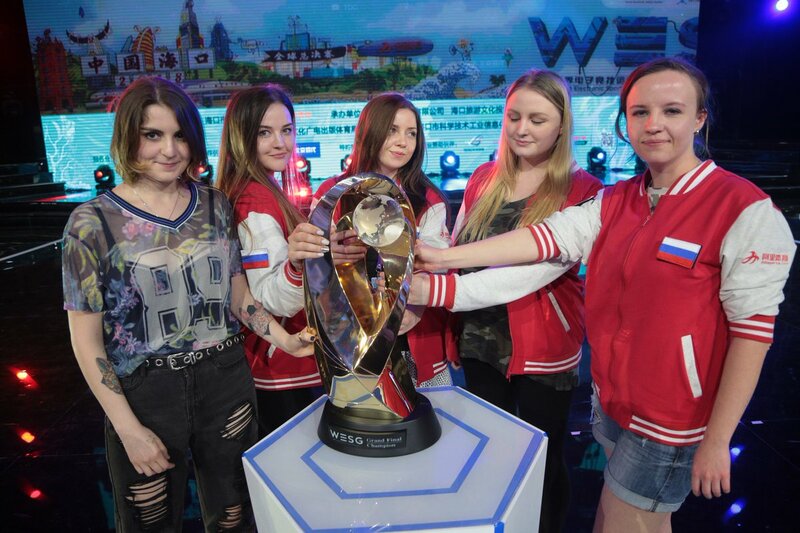 But in its second, the WESG opened a women's only bracket for both Hearthstone and Counter-Strike: Global Offensive, as well as changed all the men's groups to "general" groups where teams of either gender, or mixed genders, could compete if they chose. "One of the things about esports that is different from traditional sports is that physical limitations between genders don't exist"
"Our first year was a test year to get the team together, build up capabilities, find partners, and see if we could even pull it off," Fung said. "The scope of our competition was really limited. The second year, we looked back at some of our core values, and one of the things that was really important to us was to promote esports into mainstream sports. When you're looking at mainstream sports, especially the top-tier tournaments, you have men's groups and women's groups. We felt we needed to be more inclusive of competition for women, and that's why we introduced women's groups. "Diversity in esports is extremely important. One of the things about esports that is different from traditional sports is that physical limitations between genders don't exist. And if you look at gaming as a whole, there are a lot of female gamers. But to be a gamer is different than being an esports competitor. I think there are still a lot more males that decide to become professional esports athletes compared to females. Because [of that], the talent pool for females is just not as big as the talent pool for males. Therefore, when there are less people to pick from, the level of competition isn't as high. "We think in the long-term, as women get more opportunities to compete, that's how skill level rises in any sport. You play against better opponents to increase your skill level. And as time goes by, the difference between the skill of men in esports and the skill of women will become more even." The WESG isn't AliSports' only esports-related endeavor. Another project the company has found success in has been in creating an esports cafe franchise system in China. The company offers effectively two paths to franchise: one where AliSports supports and bolsters an existing internet cafe, and one for new entrepreneurs starting out. "We have everything set up for them, all the vendors lined up, all the operating standards and procedures," Fung said. "Essentially they can open up an internet cafe in a very short amount of time, and through our best practices and operating guidelines hopefully become profitable faster than anyone else. "In China, we're in over 68,000 internet cafes right now, which are either direct franchisees or they're in some way affiliated with our internet cafe platform. That's one business we've been rather successful in that's sort of limited to China. We are expanding to Southeast Asia, and hopefully the rest of the world after that. "In developing countries where people can't necessarily afford the latest and greatest gaming hardware...I think there's potential in those countries"
"Internet cafes are a bit different from what we're selling - we're selling esports cafes," he said. "The concept of an esport cafe or arena has a few distinct differences. One difference is that the computer equipment has to be higher end and needs to support the latest esport games. And not only the computer, but the monitor as well, the furniture, you have to have esport chairs, etc. Another focus for us is that there needs to be a spectator area - whether they project on a wall or a large TV - somewhere people can gather and watch matches. For other things like food and beverage, we have a requirement for a quality standard that needs to be offered." Internet cafes are already popular in China and Southeast Asia, but interest varies dramatically depending on global region. Fung couldn't give specifics as to where the company might be targeting beyond Asia, but he did offer an approximate idea of how they might approach the expansion. "China and Southeast Asia are markets that have been growing and the business has not slowed down. There are other countries where esport cafes were once a great business, but it since has declined or completely died out. Those are markets we would not focus on. A third segment is where internet cafes have never been popular; that's more so in developing countries where people can't necessarily afford the latest and greatest gaming hardware. I think there's potential in those countries. "We're taking it one step at a time. I think we have a very strong foothold in China right now. We'll see how we do in Southeast Asia, and maybe in future years we'll expand beyond the Asia-Pacific region." Though Alibaba and AliSports have been vocal proponents of esports in the Olympics in recent years, Fung said he was unable to dive very deep into the topic during our interview. He did reiterate that AliSports is backing esports for inclusion in the Olympics, and emphasized the group's contributions to building esports visibility to that end in recent years. These included signing a deal to bring esports as an exhibition event to the Asian Games this year in Jakarta, and then at the end of the Asian Games, signing another deal for AliSports to be involved in market development and commercial rights for the 2022 Asian Games in Hangzhou. "The mandate for AliSports is to make sports simpler. We want to make sports more accessible, more fun, and get more people involved in sports"
But all this, Fung said, was with the caveat that in the end the decision to include esports in the Olympics rests with the Olympic Committee, and that Alibaba and AliSports will support whatever decision is made. Alongside the WESG, esports cafes, and its Olympic support, Fung said Alibaba has also been working to support esports education in China, ultimately helping upcoming esports pros find viable career paths. "We partnered with a company based out of Nanjing, and traditionally they develop material and programs for post-secondary education, and they're very interested in esports right now," he said. "We're just kicking that off and can't reveal too much, but we've already gotten a lot of interest domestically from over a hundred different colleges and universities to push esports education across all of China." Fung is confident in his plan for AliSports over the next few years, but I was curious if a major, upcoming company-wide change would affect his plans. Alibaba executive chairman and founder Jack Ma announced just recently that he would step down in a year's time, leaving CEO Daniel Zhang in charge. I asked Fung if this would mean anything different for his division, but Fung was confident Ma's vision would continue to steer AliSports. "Jack has always been very supportive about esports, and not just esports, but traditional sports as well," he said. "The mandate for AliSports is to make sports simpler. We want to make sports more accessible, more fun, and get more people involved in sports. This is something Jack has been advocating for internally as well. With Jack's departure, we'll continue to get the support from Alibaba Group. This is something that was very important to Jack that he established, and I don't think his departure will have any sort of negative impact on the way AliSports is going to grow in the future."